The Dream Man - Ever Dream This Man? 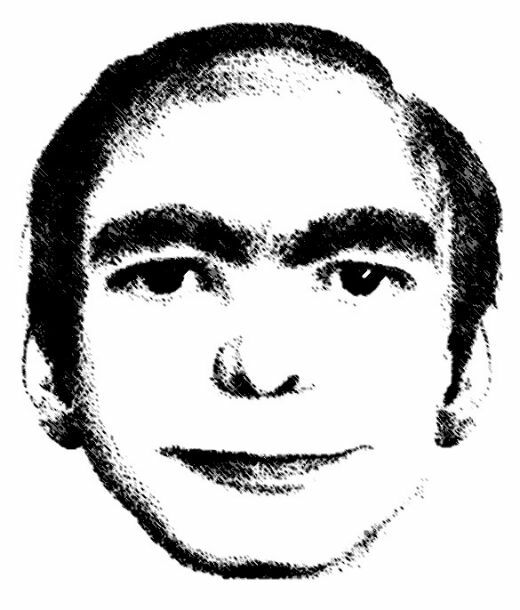 The Dream Man, This Man, or Ever Dream This Man?, is a peculiar phenomenon that has risen into the internet as of October 2009, and is represented by an unsettling mental patient's rendition of what is close to, if not exactly a description of a man seen in their dreams. Apparently, the man she drew, was in everyone's dreams. Over 2,000 people had reportedly confirmed that they had seen this man in their dreams, and even continue to see him. "In January 2006 in New York, the patient of a well-known psychiatrist draws the face of a man that has been repeatedly appearing in her dreams. In more than one occasion that man has given her advice on her private life. The woman swears she has never met the man in her life. That portrait lies forgotten on the psychiatrist’s desk for a few days until one day another patient recognizes that face and says that the man has often visited him in his dreams. He also claims he has never seen that man in his waking life. The psychiatrist decides to send the portrait to some of his colleagues that have patients with recurrent dreams. Within a few months, four patients recognize the man as a frequent presence in their own dreams. All the patients refer to him as THIS MAN."